Mrs. Rachels, daughter of the late Wyman and Ethel Cartledge Perry, was a native of Augusta. 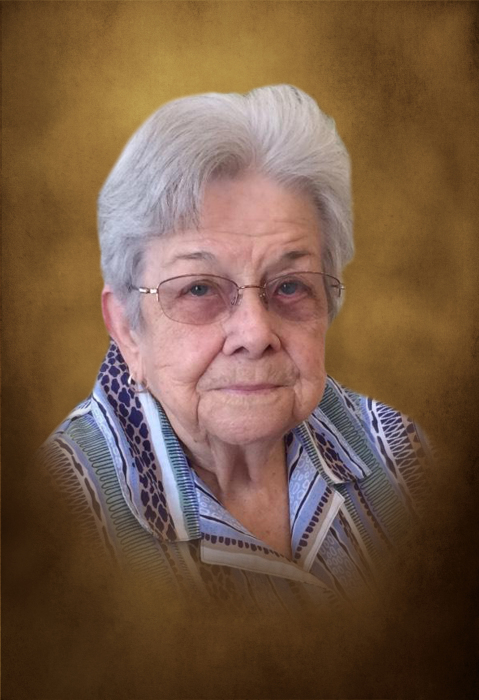 She was a homemaker who especially enjoyed cooking for her loved ones as well as canning the fruits and vegetables grown by her husband at their Lincoln County home. She was preceded in death by her husband, Henry E. Rachels, Jr. She is survived by daughters, Barbara Rachels and Linda Rachels Albinger; grandchildren, Traci Bruno (Travis) and Scott Whitmire (Brianna); great- grandchildren, Tyler Bruno (Natalia), Talon Bruno, Emma Whitmire and one great- great grandchild that is due to be born in December, Ellaina Bruno. She was preceded in death by brothers, Thomas Wyman Perry, Jr., Mack Leon Perry, John Raymond Perry, Pierce Gordon Perry and sister Laura Dell Perry Dean. A private graveside service was held on Saturday, July 28, 2018 at 3 pm at Hillcrest Memorial Park with Rev. Dan Fernandez officiating.